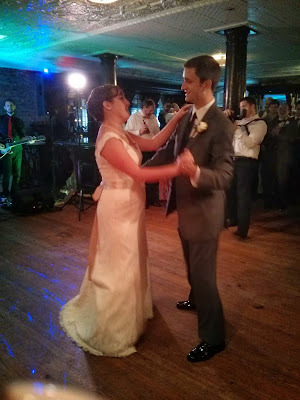 Congratulations Christine and Kasper aka the new Mr. & Mrs. Statz! A month ago today we were celebrating their nuptials in beautiful, historic Charleston so cheers to a very happy first month together! 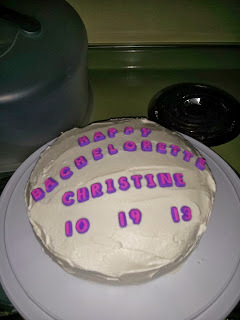 This post is in honor of one of my very best college friends but have no fear there is a recipe! Below are some details on her Bachelorette Weekend, a shower in DC, and her wedding in Charleston. 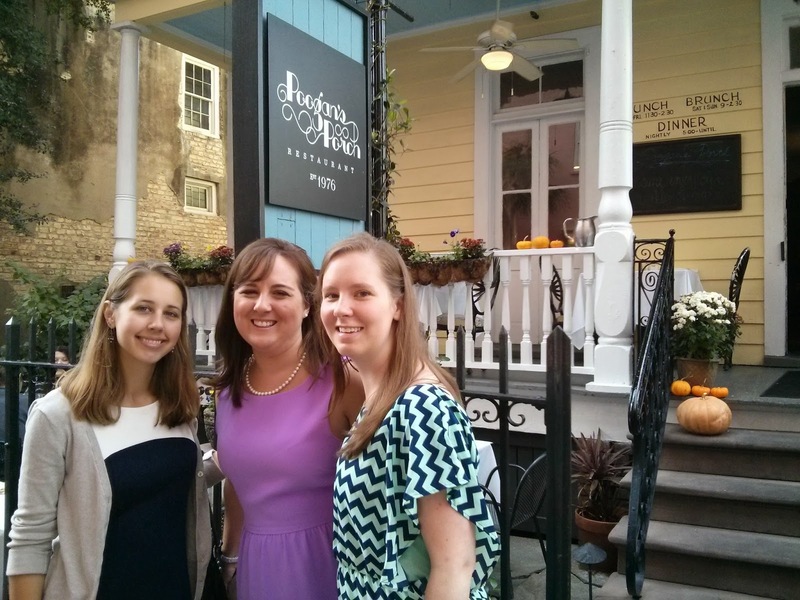 Christine's bachelorette weekend was stress-free and relaxing in beautiful northeastern NC. We stayed at my grandparent's lake cottage. 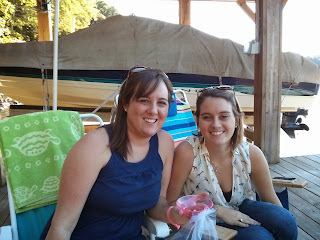 The water was calm, the air had a newfound fall crispness to it, and there was a winery right down the road! There aren't too many restaurants around so we fixed ourselves a nice brunch both Saturday and Sunday and had plenty of snacks throughout the weekend. 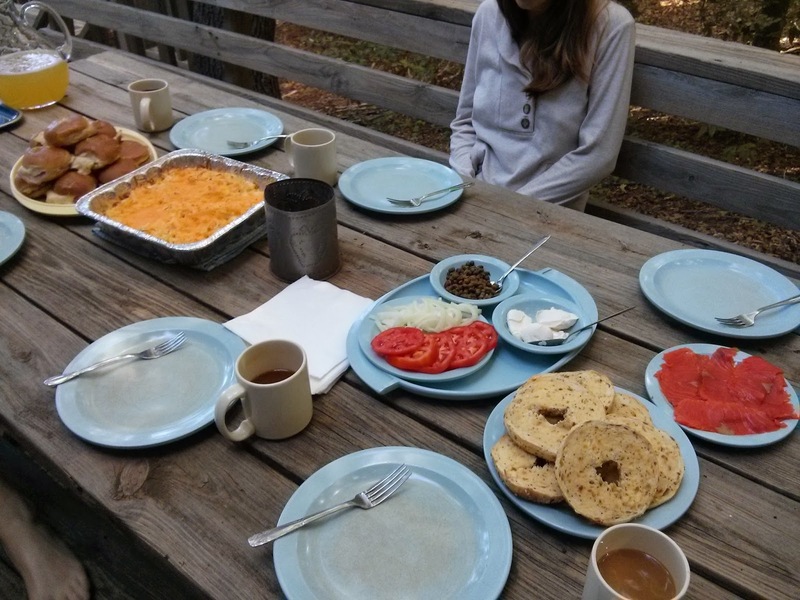 For brunch on Saturday, we had a spread with ham biscuits, hash brown casserole, smoked salmon platter, and bagels. Sarah, the matron of honor, provided the ham biscuits which were a family recipe. Holly and I went in together for the other goodies. We followed this recipe for the hash brown casserole (a copycat Cracker Barrel recipe). For the smoked salmon platter, we paired sliced onions, capers, fresh tomatoes, and cream cheese. 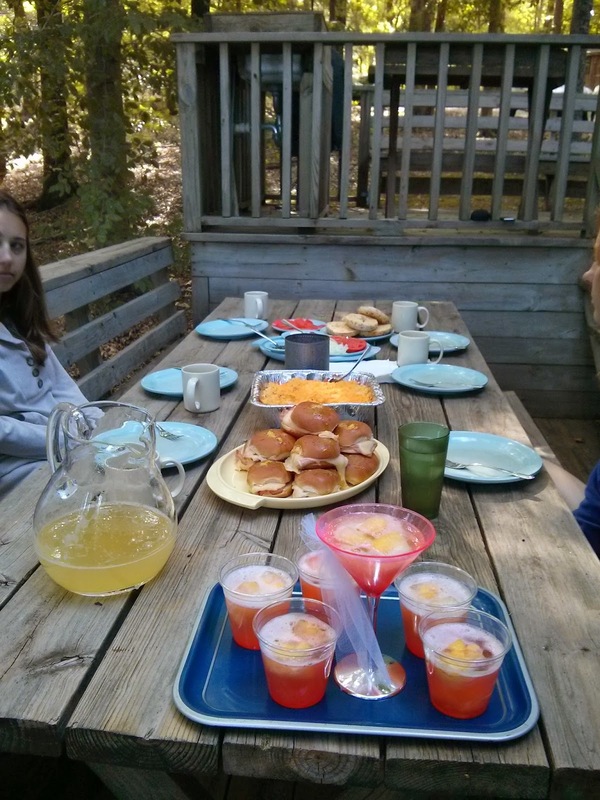 The bagels were served alongside the the smoked salmon platter. The brunch cocktail was a bottle of sparkling apple juice, a bottle of champagne, pineapple juice, and some seltzer. We just poured varying amounts of said liquids... don't really think you can go wrong here. On Friday I had prepared pineapple ice cubes for the cocktail. I finely chopped fresh pineapple and froze it with the sparkling apple juice in ice cube trays. To serve the cocktail, we placed 2-3 ice cubes in a cup and drizzled grenadine over it for a pop of color. Then finish with the cocktail. After brunch we headed over to the Rosemont of Virginia Vineyard and Winery. 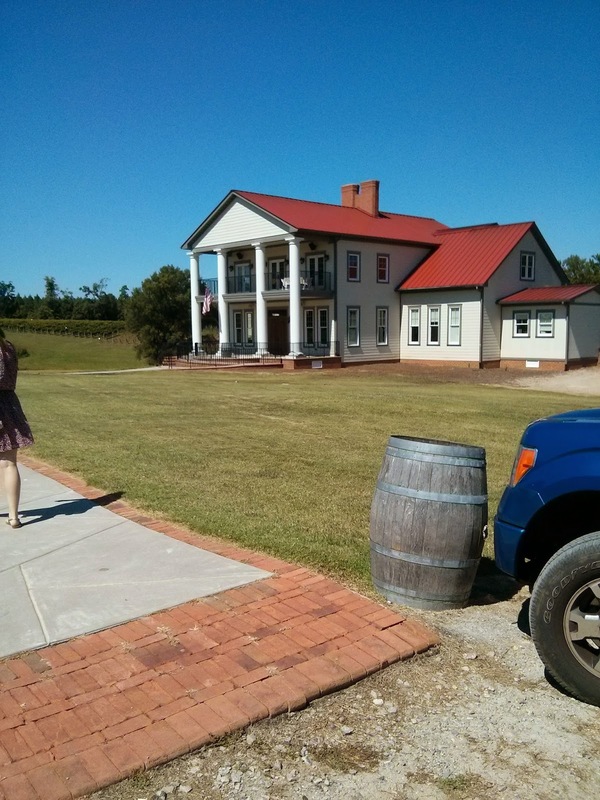 They have a beautiful tasting room and an expanded area for groups. We tasted four white wines, six red wines, and two sweet wines. I was so amazed at how many offerings they had; that's a lot of grapes to grow! They also provided cheese and bread with the tasting. There is the opportunity to go on a tour of the facilities after the tasting. 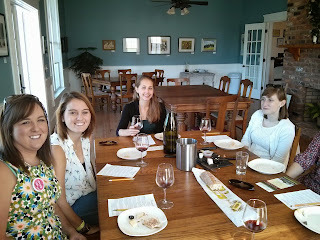 The tour guide was very informative and we learned a lot about wine! 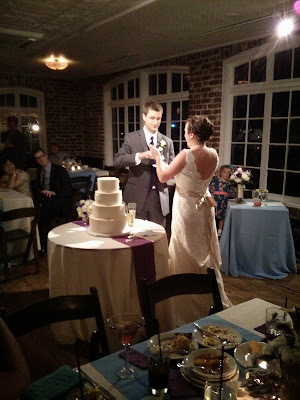 And then we ate cake! 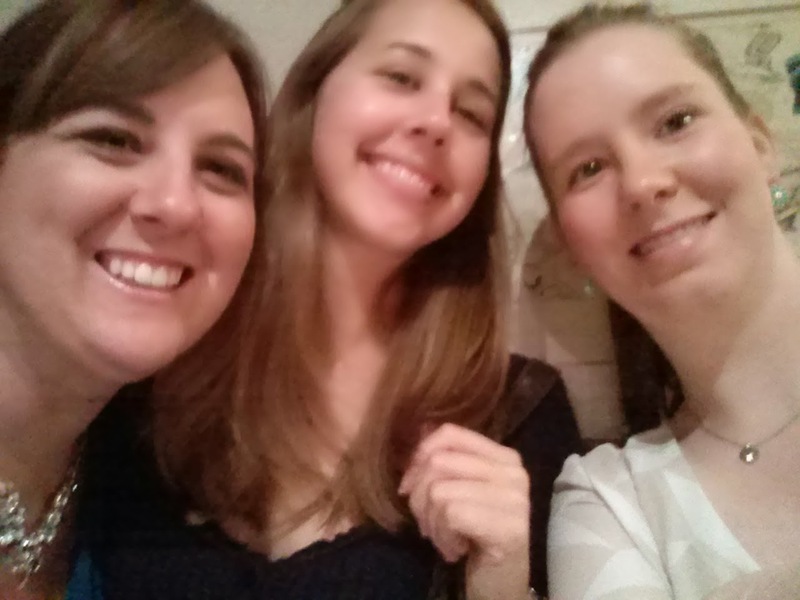 Sharing a few of the photos I took during her shower weekend in Washington, DC. 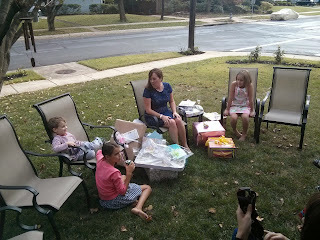 Opening presents outside on the front lawn. The weekend started with a bridesmaid luncheon at Poogan's Porch. Then on Saturday was the real deal! What a wonderful honor to stand up with one of my best friends as she married the love of her life. 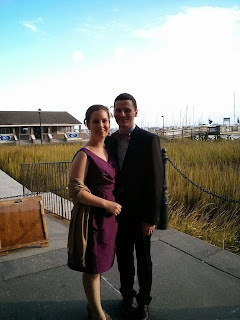 My handsome date; our first wedding as a married couple!